LASD trustee Doug Smith talked about some School Comparison data on Monday, Sept. 16, but did not provide handouts or URLs. Lalahpolitico looked up the source she is familiar with – the California State education site to update this article with 2011-12 data. Here follows the data, and it does not change my conclusions. The stats at BCS are not “statistically or significantly different” from those of several schools (e.g., Blach, Gardener) in our district and in other economically segregated suburbs like ours — see Saratoga. Mr. Smith may have access to County data for 2012-2013 ,which is not yet available to the general public on the state site. Ummm. Not transparent. Table: Some Districts 2011-12. 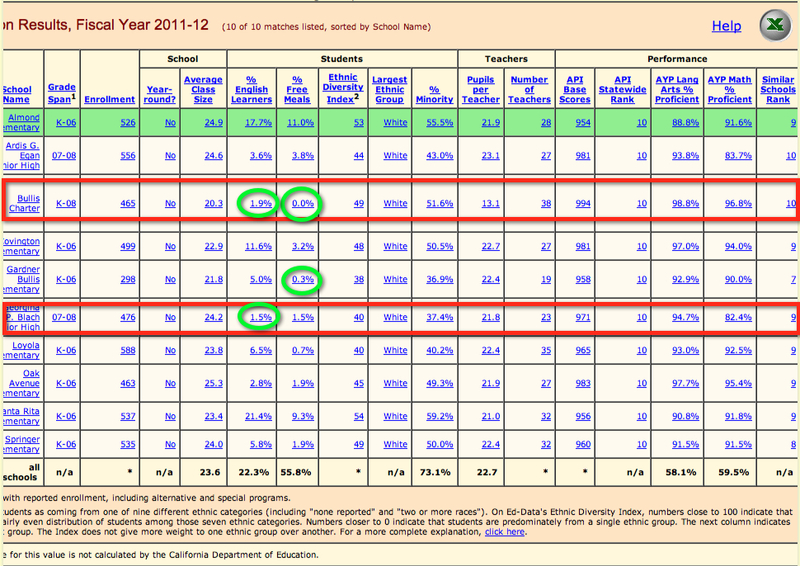 LASD is very non-inclusive compared to many nearby districts. Only Saratoga seems less inclusive. Table 2011-12. Here are some other local schools with low ELLs and low free lunches. This is a product of economic geographic segregation accomplished by town zoning laws mandating large parcels and no apartment buildings. You can see that a school need not be a charter school to have low ELLs. These public schools reflect the demographic profile of their district population as BCS reflects the total population of its district. Policy wonks say local zoning is responsible for the geographic economic segregation of public schools. Their is no data on free lunch on Bullis Charter, because like most charters, it provides lunch directly, rather than through the State program which collects statistics. So we take BCS students getting free lunch as zero, even though in more recent years it was at least provided for some kids on a direct basis, allegedly. 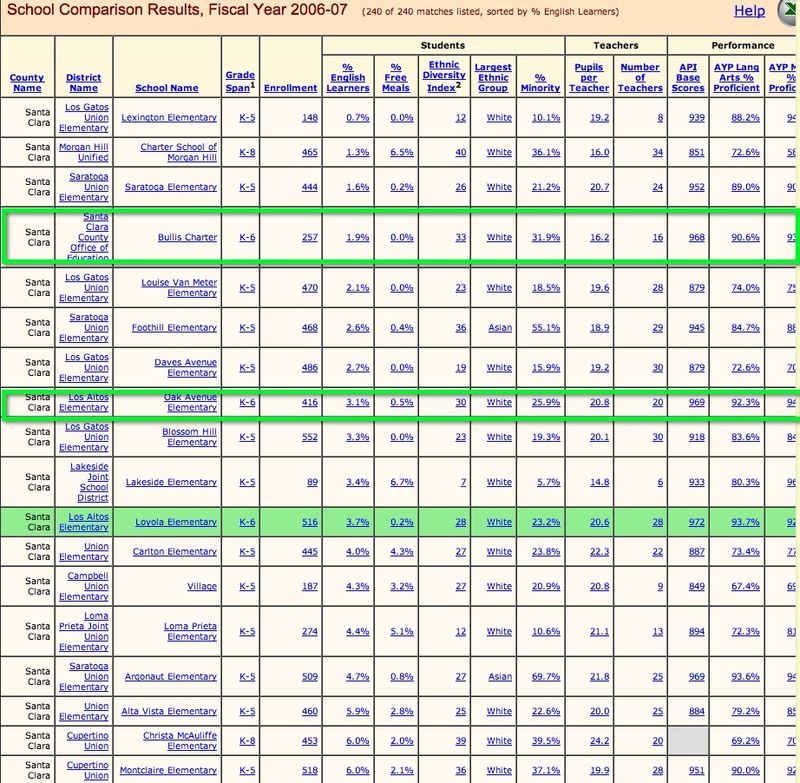 Methodology: We take the lowest performing school in LASD each year and compare how BCS stacked up against those schools. 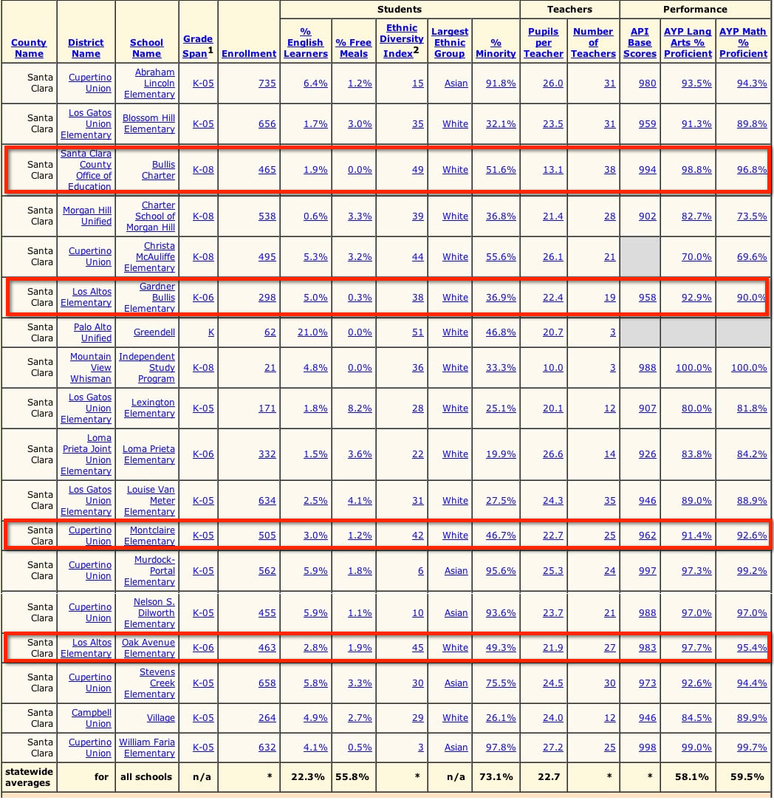 In general there is a deficit of underprivledged students from 0 to an outlier high of -17. That’s the arithmetic. That’s the extent of the deviation in underprivledged participation at BCS. Conclusion: But what does the arithmetic of these 0 to -17 missing underprivledged students at BCS from 2005 to 2010 mean? For LASD’s passionate supporters, it says BCS is a school that is cherry-picking or skimming with an up to 17 student deficit. Shocking! For BCS sympathizers, it says, “Meh, not statistically signficant ” For lalahpolitico, it says “What’s the fuss – not much harm done with so few students involved.” But it would be nice for BCS work on it anyway. And LASD should do more to normalize the EL and free-lunch students between its schools too. For lalahpolitico, the real, VERY LARGE harm in our area, as opposed to miniscule harm, is the lack of equity between school districts – like between LASD vs. MV-Whisman. Oak School had .20% of students on free lunch or 1 student. BCS with half the enrollment of Oak, should have had less than 1/2 a student on free lunch. BCS had a students on free lunch deficit of 0 students. Oak has 2.5% of students as ELs or 10 students. BCS with half the enrollment should have had 5 students, but only had 3, for a BCS deficit of EL students of -2 students. 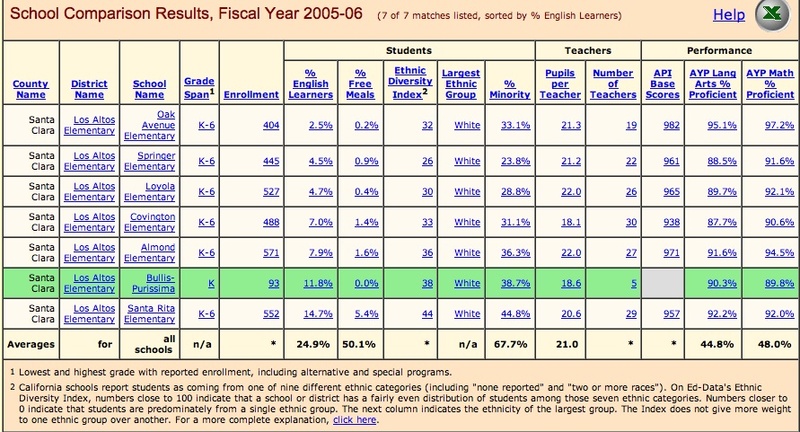 Table 1: 2005-2006 Source: www.ed-data/l12/ca/us You will need to use the interface to generate a similar report. Loyola school had .20% of students on free lunch or 1 student. BCS with half the enrollment of Loyola should have had just over 1/2 a student on free lunch, but had zero. Rounding up, BCS had a student on lunch deficit of -1. Oak had a EL percent of 3.10% for 13 EL students. BCS with less enrollment, had 1.9% EL for 5 students. IF BCS had had Oak’s EL rate, BCS would have had 8 students, for a BCS deficit of EL students of -3 students. Table 2: 2006-2007 Source: www.ed-data/l12/ca/us You will need to use the interface to generate a similar report. Loyola school had .40% of students on free lunch or 2 students. BCS with something over half the enrollment of Loyola should have had just 1 student on free lunch, but had zero. So BCS had a students on free lunch deficit of -1. Oak had a EL percent of 2.70% for 12 EL students. BCS with over half the enrollment of Oak, had 1.4% EL for 4 students. IF BCS had had Oak’s EL rate, BCS would have had 8 students, for a BCS deficit of EL student of -4 students. 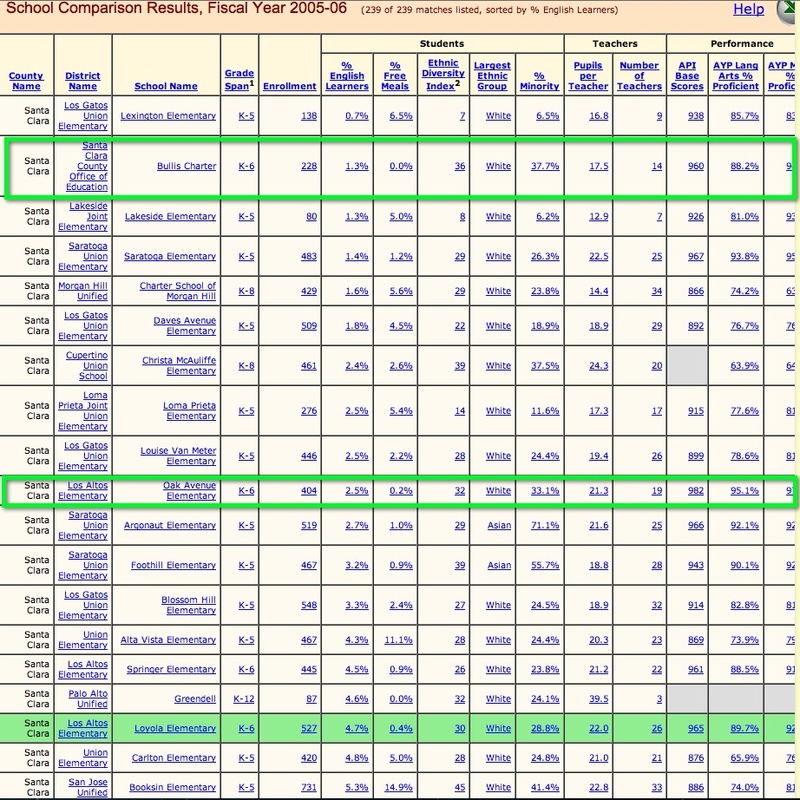 Table 3: 2007-2008 Source: www.ed-data/l12/ca/us You will need to use the interface to generate a similar report. 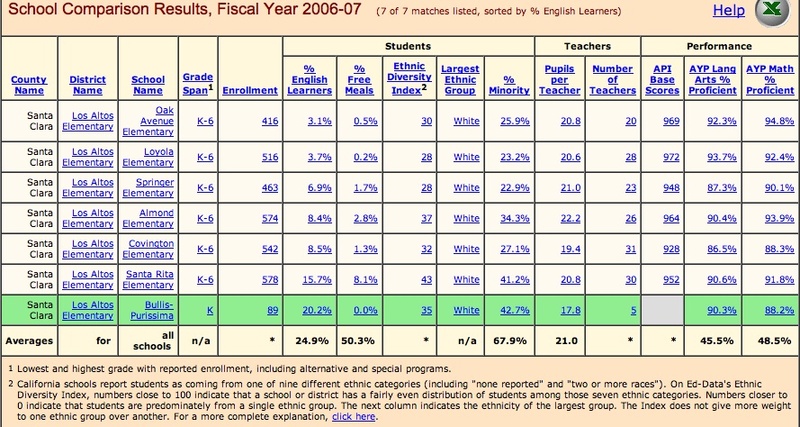 Table D: All LASD Schools 2008-2009 Source: www.ed-data/l12/ca/us You will need to use the interface to generate a similar report. 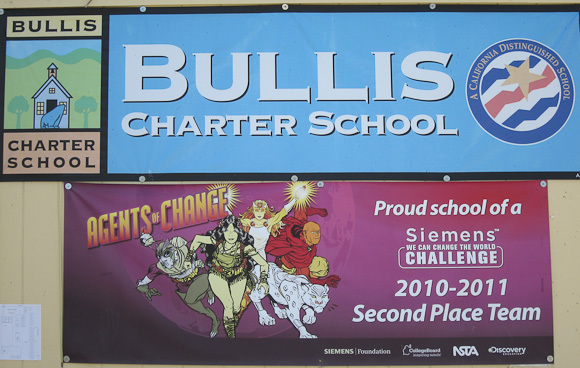 Bullis Gardener, now fully opened as an elementary school, had .0% of students on free lunch or 0 students. BCS with something over 50% more the enrollment of Gardener should have had 0 students on free lunch, and had zero. So BCS had a students on lunch deficit of 0. Oak had a EL percent of 3.60% for 16 EL students. BCS with over half the enrollment of Oak, had 1.45% EL for 5 students. IF BCS had had Oak’s EL rate, BCS would have had 12 students, for a BCS deficit of EL student of -7 students. 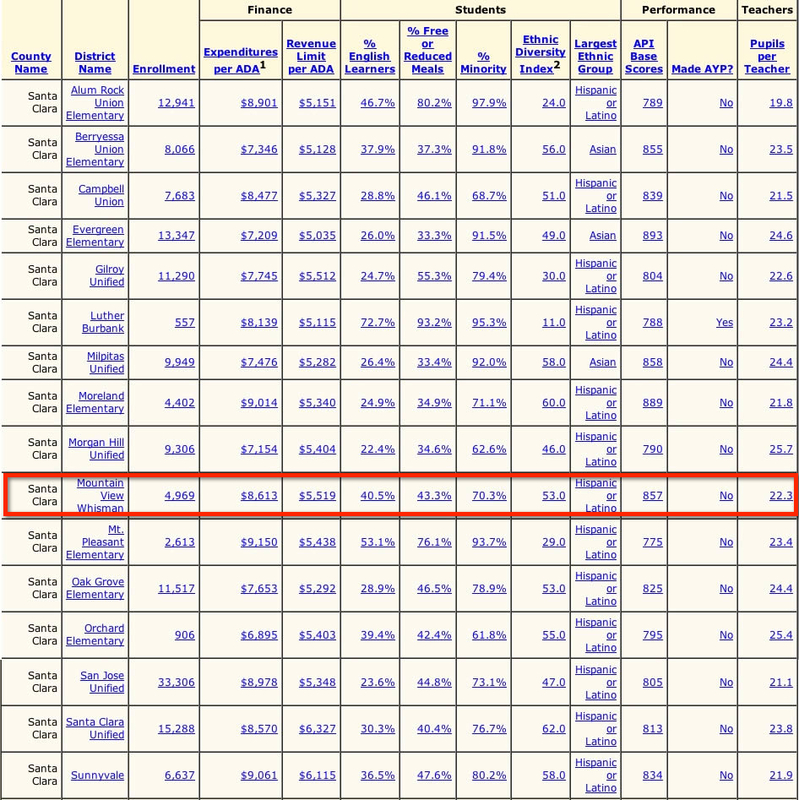 Table 4: 2008-2009 Source: www.ed-data/l12/ca/us You will need to use the interface to generate a similar report. Loyola, had .5% of students on free lunch or 3 students. BCS with about 3/4 of the enrollment of Loyola should have had 2 students on free lunch, and had zero. So BCS had a students on lunch deficit of -2. Oak had a EL percent of 3.60% for 16 EL students. BCS with over half the enrollment of Oak, had 1.5% EL for 5 students. IF BCS had had Oak’s EL rate, BCS would have had 12 students, for a BCS deficit of EL student of -7 students. 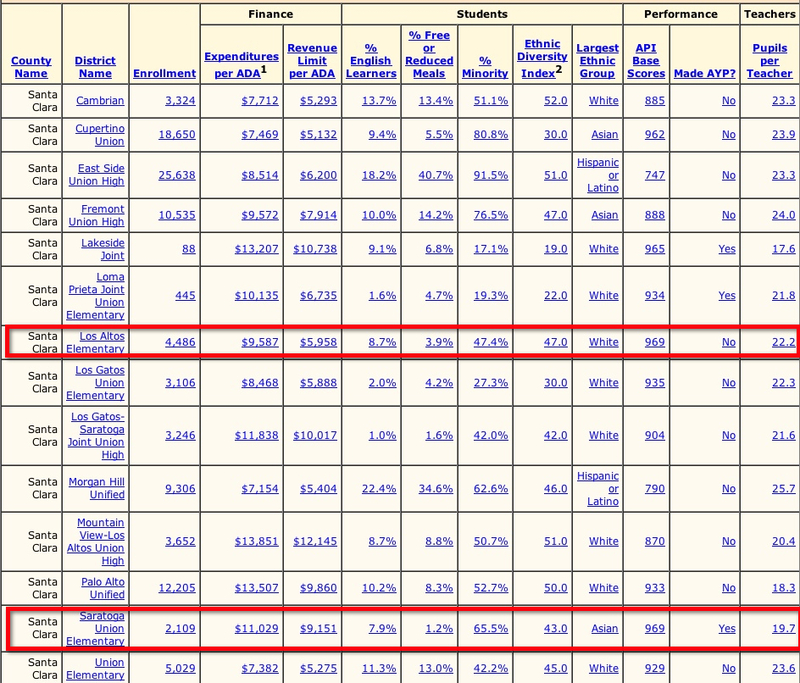 Table 5: 2009-2010 Source: www.ed-data/l12/ca/us You will need to use the interface to generate a similar report. Table 6: 2010-2011 Source: www.ed-data/l12/ca/us You will need to use the interface to generate a similar report. WORKSHEET – BCS deficit of underprivledged students each year 2005 to 2010.